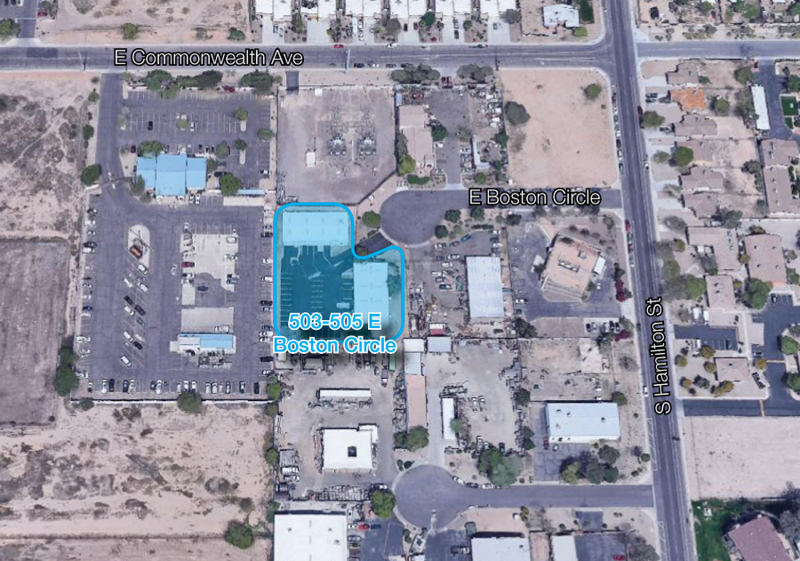 PHOENIX, ARIZONA (February 13, 2018) – NAI Horizon Senior Vice President Rick Foss represented the buyer in the $1.129 million sale of a 10,161-square-foot industrial building at 503-505 E. Boston Circle in Chandler, Ariz.
NAI Horizon represented Pacific Desert, LLC of Phoenix in purchasing the industrial building that sits on almost one acre of land. The property will be utilized by a business that sells and installs raised computer flooring. “They buyer acquired this specific property to better serve its existing clients and expand for future business growth,” Foss said. The sellers, Eric J. and Susan D. Cassinat and Anthony and Cindy L. Cassinat of Gilbert, Ariz., were represented by David Bean and Leroy Brienholt of Commercial Properties Inc.